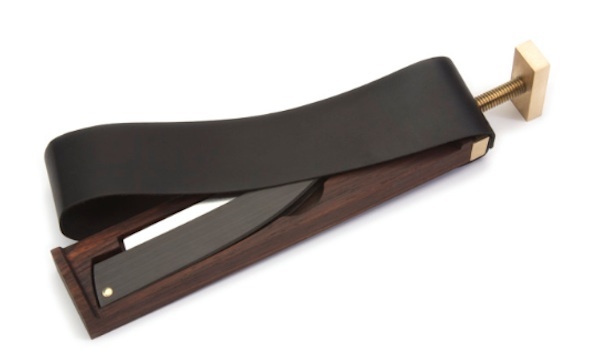 Equal parts stylish and practical, this paddle strop ($250) conceals your straight razor. It’s made of very hard cocobolo wood, calfskin leather, and sold brass hardware. Bring your own razor.